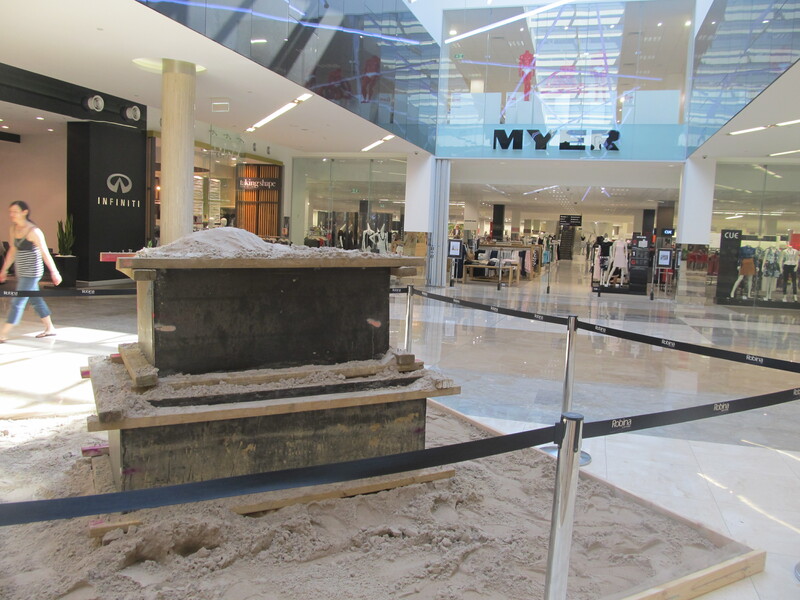 Last week I noticed this strange box of dirt or sand in the centre of Robina (to see more of Robina click here), the large shopping complex. No signs or posters to tell us what was happening. Today I went back to Robina to do some shopping and look what I found. A transformation. A delightful sand sculpture is now in the place of that pile of dirt. 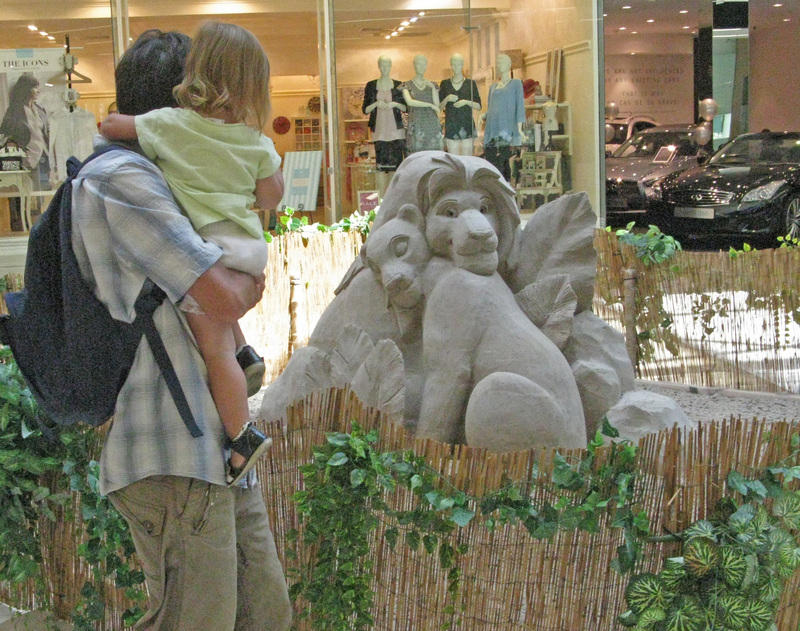 This is also advertising that a sand sculpture competition is being held at Surfers Paradise this week-end. We will have to go and see it tomorrow. I thought the expression in the Lion Kings eye made him look alive. Hope the sand sculptures on the beach don’t disappoint. 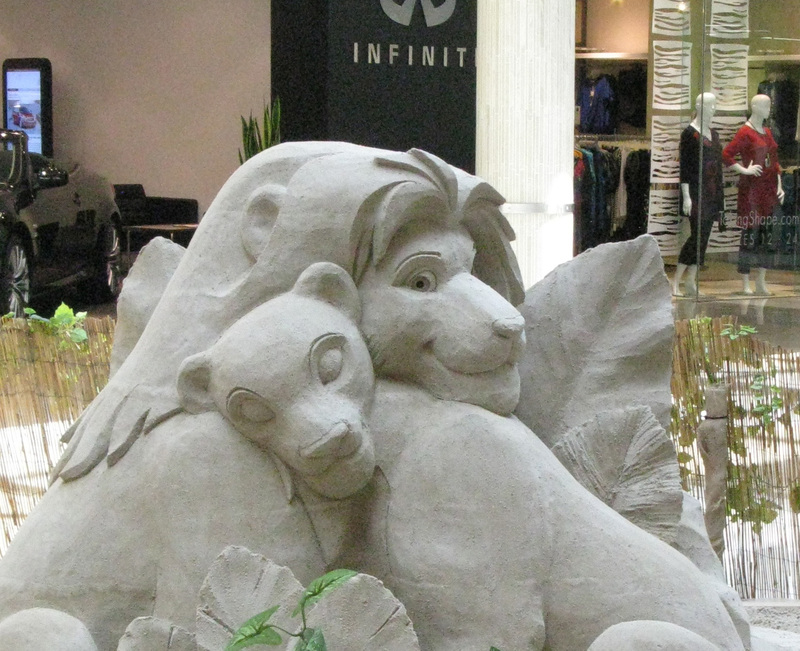 I love sand sculptures, but have never come across them before they transformed into sculptures! Great! He, he…sometimes you are lucky…! True…my husband doesn’t like it, but I always have a camera or at least the phone with me. They do…for me it’s only a way if I have forgotten my camera. And also for Instagram. Stunning, Pauline, from a simple pile of sand. I wonder if that eye really is a webcam! The eye has a certain dark and foreboding look about it doesn’t it. Oh dear I never thought of that!!!! Very hard to believe that is a sand sculpture: amazing planes and expression. I can’t wait to see your collection of the beach ones. Fabulous! How creative, I don’t know how they do it so well! G’day Dianne, how are you? There are more at Surfers so I’m looking forward to seeing them. stoeu??? Oops!!! thank you for commenting…. Haha thanks for the interpretation!!!! Lovely! Hope you’re enjoying a lovely & loving weekend! awww that is awesome ! Now that’s what I call lucky! You see. Luck! Or serendipity. Well spotted, I’m glad you went back! What a great transformation, Pauline! That’s a transformation alright, Pauline!